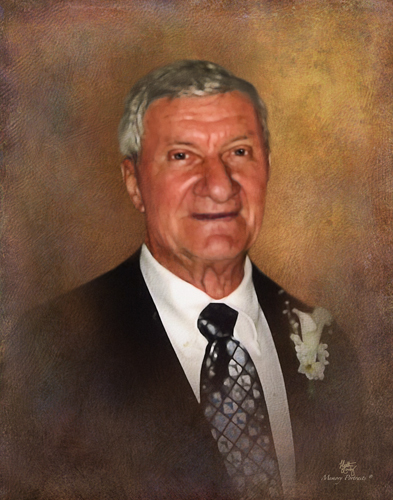 Nolan H. Swader, 92, of Fort Branch, passed away on April 8, 2019 at River Oaks Health Campus in Princeton, IN. Nolan was born on July 31, 1926 in Gibson County, IN to the late Oscar and Mary (Heuring) Swader. Besides his parents he is also preceded in death by his wife Imogene (Sollman) Swader, brother Oscar Swader Jr. and a sister Kathleen Leister. Nolan was a Brick Mason for his whole life working along side his son for 45 yrs. He was a member of the St Lucas United Church of Christ in Fort Branch. Nolan is survived by his children, Janet (Randy) Schmits of Fort Branch, IN, Dennis (Donna) Swader of Fort Branch, IN, Linda Betulius of Apex, NC and Lois Schutte of Fort Branch, IN, 7 grandchildren and several great grandchildren. Visitation for Nolan will be on Thursday, April 11, 2019 from 4:00 p.m. to 7:00 p.m. at the Stodghill Funeral Home in Fort Branch, IN and again at the St Lucas Church from 9:00 a.m. till service till at 10:00 a.m. on Friday. Services will be on Friday April 12, 2019 at 10:00 a.m. at St Lucas United Church of Christ in Fort Branch IN with Pastor Dave Marshall officiating. Burial will be in the church cemetery.